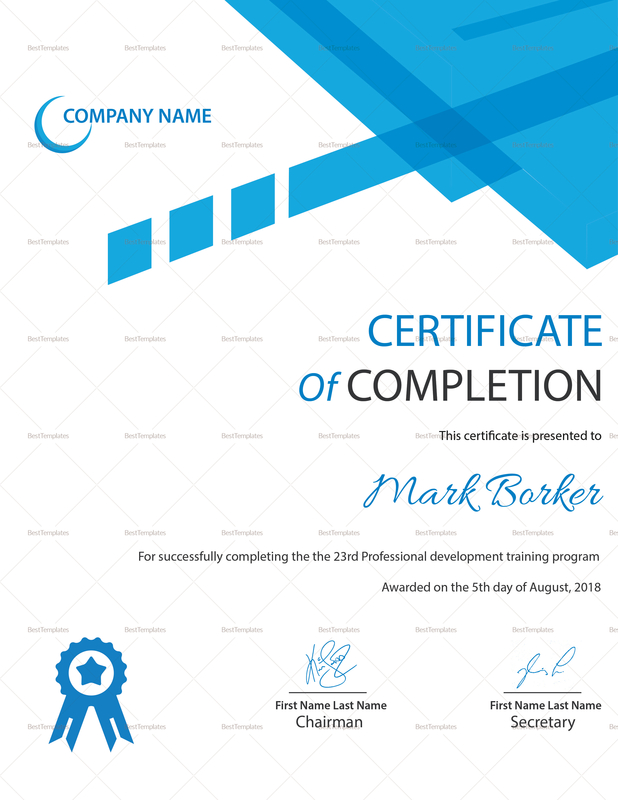 This certificate with a fusion of serene blue and white color is suitable for many events. 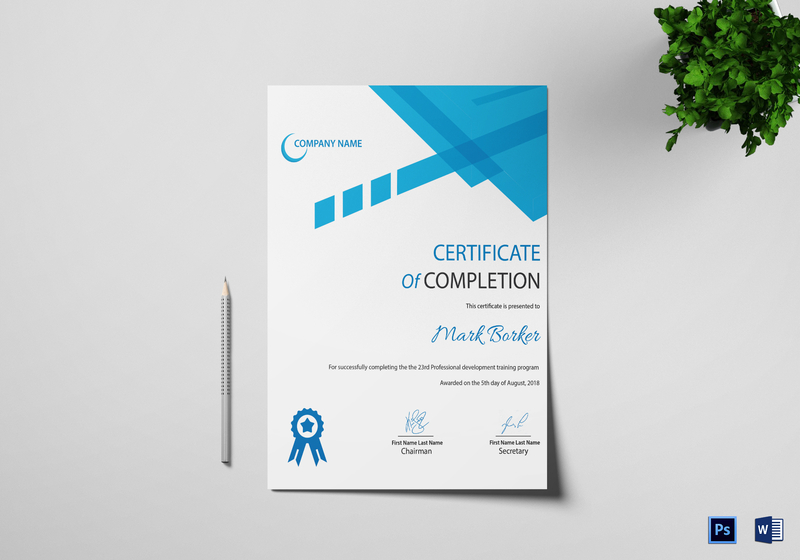 May it be a formal or an informal one this completion certificate can be used for all courses as an appreciation award. Also, it can be customized and edited before you print your certificates.